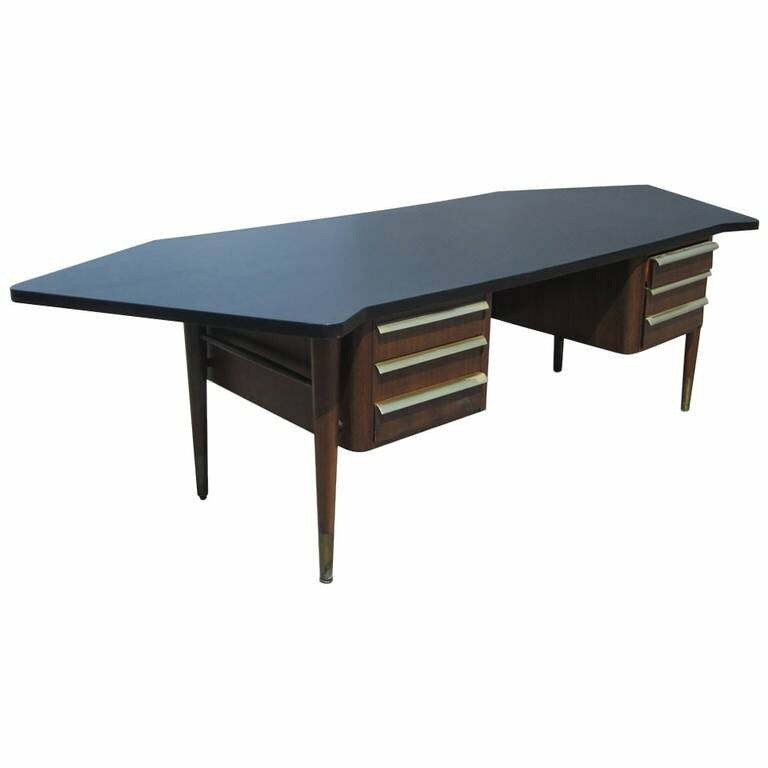 A vintage Stow Davis executive 9 ft desk with a large ebonized curved top. 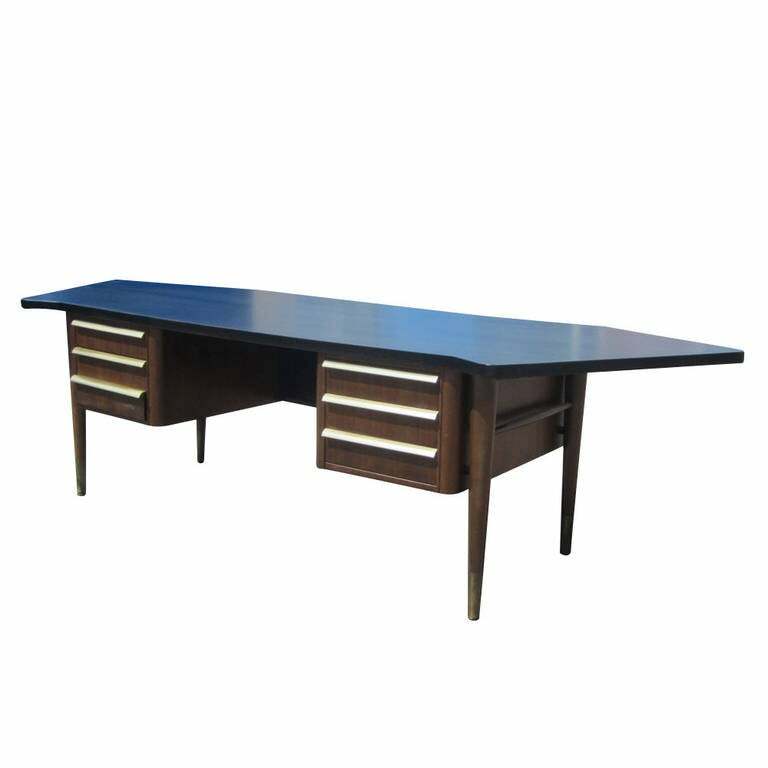 Brass detailing for the three pulls on either side and glides make enhance the presence of this desk. 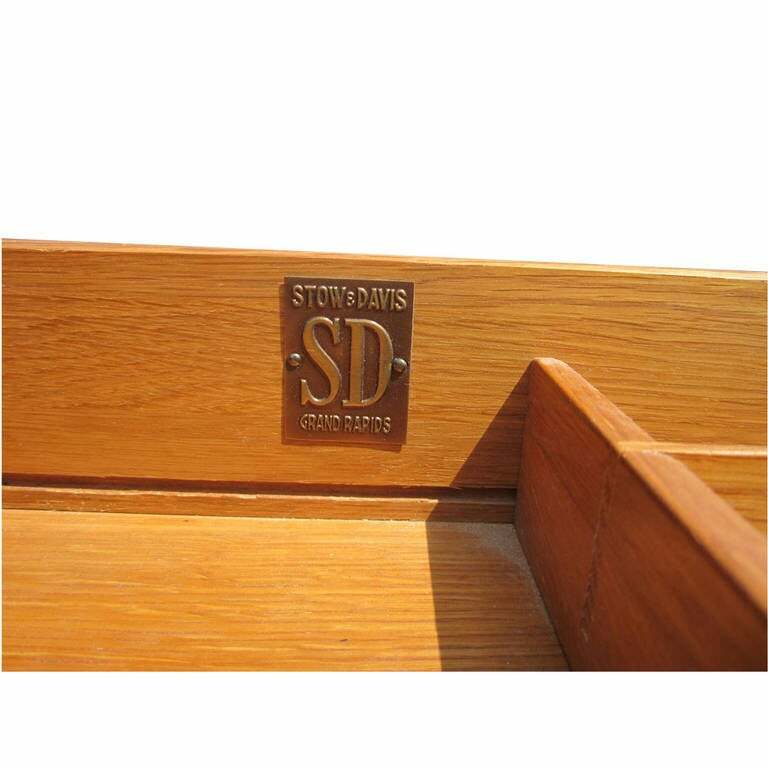 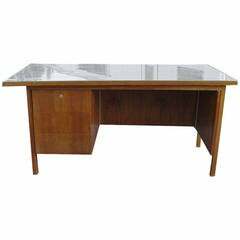 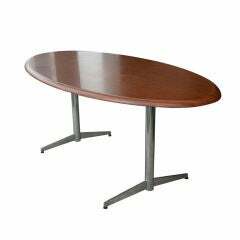 A mid century modern table or desk made by Stow Davis. 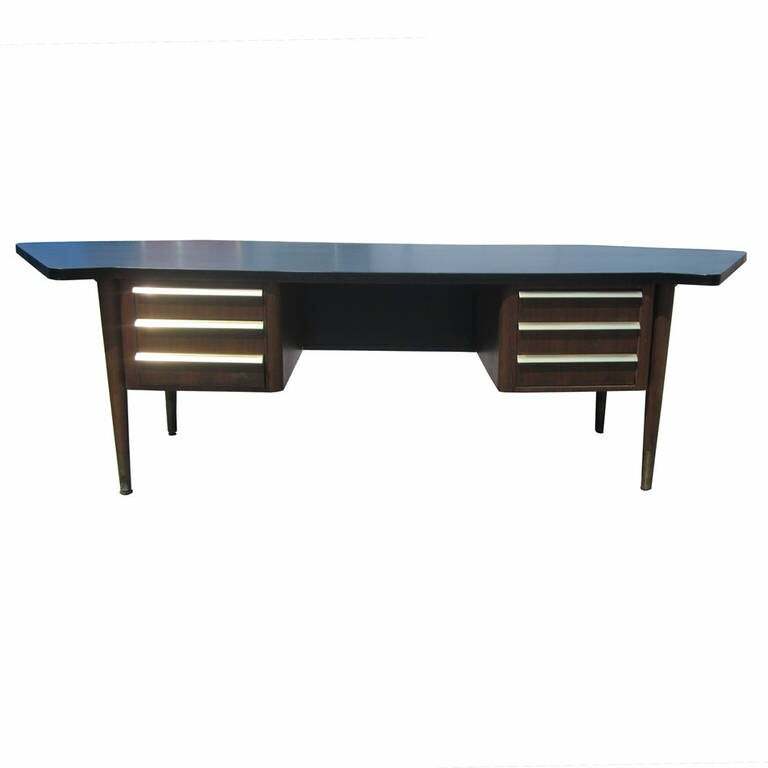 A chrome double pedestel base with an oval top. 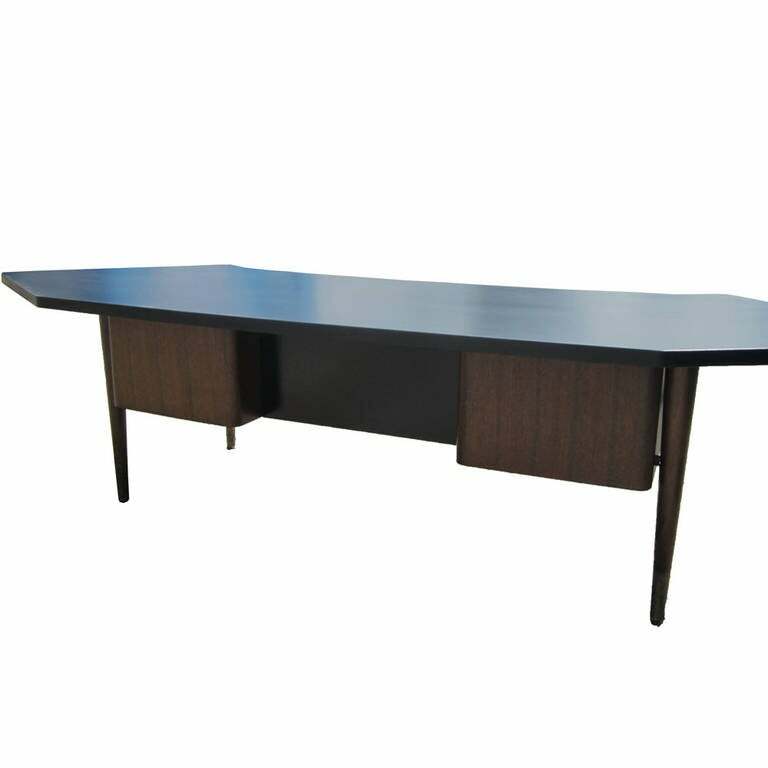 This Stow Davis single pedestal desk comes with glass that covers the entire desk top to preserve the luster of this beautiful walnut finish, Three standard drawers, Walnut legs. 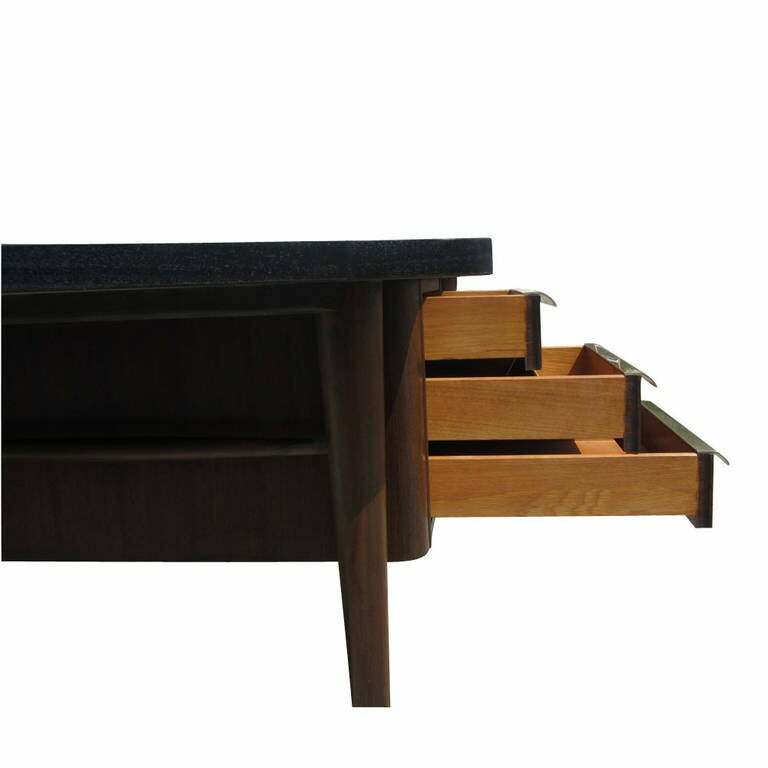 This piece has three drawers, one of which is a filing drawer. 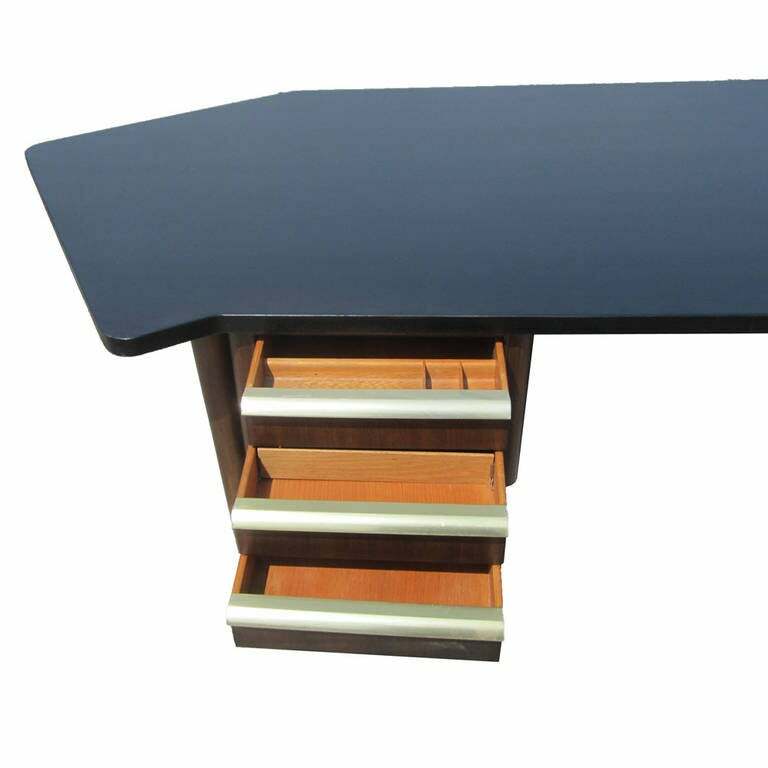 A very distinctive desk with unique capped off point stainless steel legs. 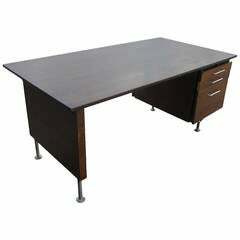 Handsome walnut partners desk finished on both sides, drawers only work on one side, with black ebonized top. 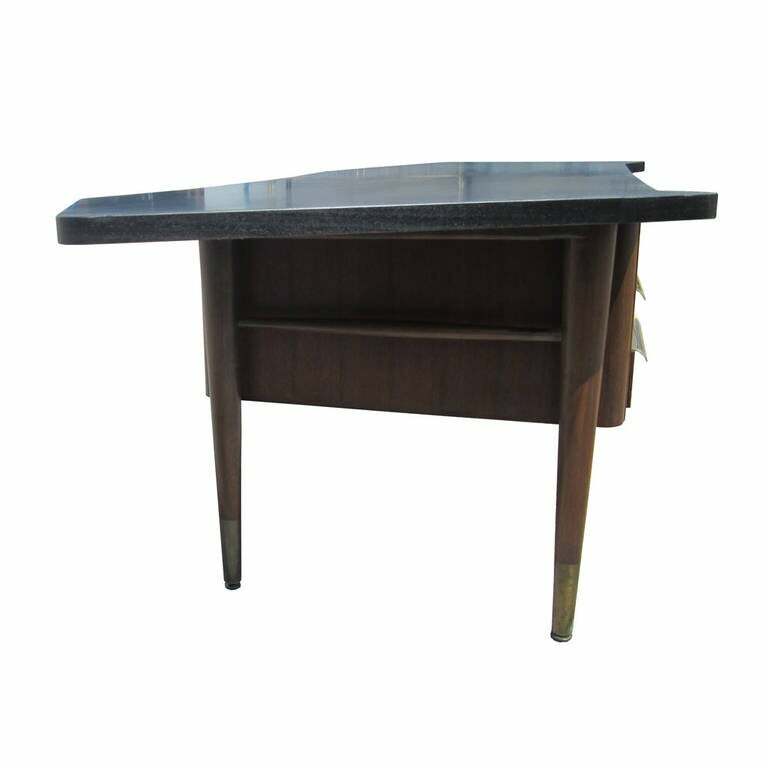 Knee hole opening 20.5 W 23.25 H.
19th century English ebonized writing desk with leather top from 1890s.